iPad mini: 7.9-inch Retina Display, A12 Fusion chip, up to 256GB storage, Apple Pencil 1 support, weighs under 0.7 pounds, 6.1mm thin, Touch ID. From $399. iPad: 9.7-inch Retina Display, A10 Fusion chip, up to 128GB storage, Apple Pencil 1 support, weighs around one pound, 7.5mm thin, Touch ID. From $329. iPad Air: 10.5-inch, A12 Bionic processor, up to 256GB storage, Apple Pencil 1 support, weighs around one pound, 6.1mm thin, Touch ID. From $499. 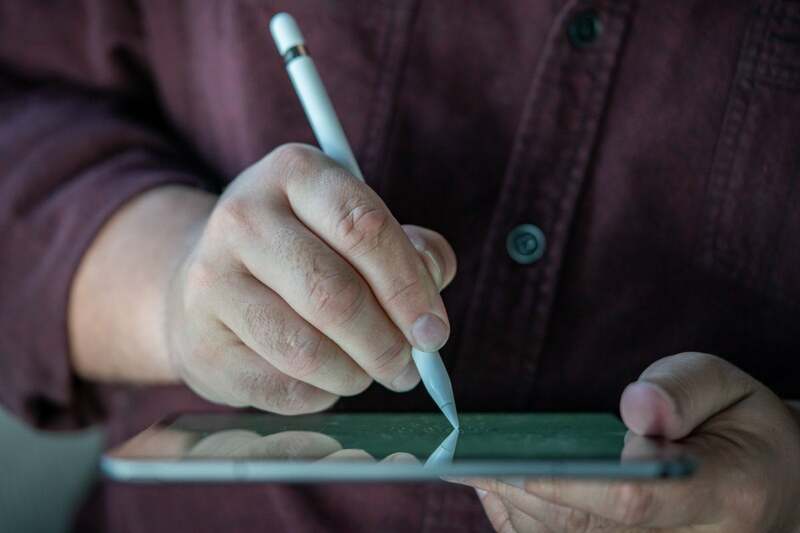 iPad Pro: 12.9-inch or 11-inch Liquid Retina Display, A12X Bionic chip, up to 1TB storage, Apple Pencil 2 support. Weight from 1.03 pounds, 5.9mm thin, Face ID. From $799. You’ll get around 10 hours battery life in all the tablets, all models are equipped with Wi-Fi, and LTE/4G supporting models are available at a higher price. All the iPads except the iPad Air use Lightning connectors rather than USB-C. In comparison with the previous Air, Apple claims the new iPad Air delivers a 70% boost in performance and twice the graphics capability. You even get a Smart connector for peripherals such as Apple Smart Keyboards -- but there are some limitations. For example, you'll see a clear bezel around the screen, not the minimal surround you find in the Pro, despite which the Air's display is nearly 20% larger than that of its predecessor. While it costs more than the entry-level model, iPad Air casts a huge shadow across the entry-level iPad. Its superior display, powerful processor and near iPad Pro performance means I'd now find it hard to recommend the entry-level iPad to many people. If you need a tablet for professional use, then you should go Pro.